Inverse Problem Theory is written for physicists, geophysicists and all scientists facing the problem of quantitative interpretation of experimental data. Although it contains a lot of mathematics, it is not intended as a mathematical book, but rather tries to explain how a method of acquisition of information can be applied to the actual world. 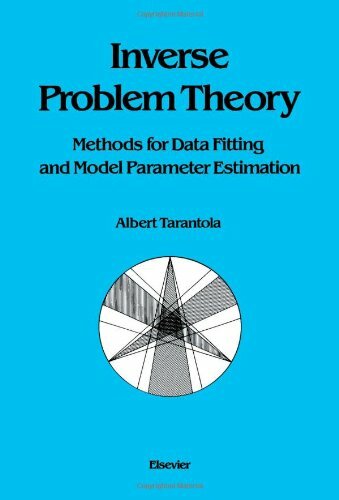 The book provides a comprehensive, up-to-date description of the methods to be used for fitting experimental data, or to estimate model parameters, and to unify these methods into the Inverse Problem Theory. The first part of the book deals with discrete problems and describes Maximum likelihood, Monte Carlo, Least squares, and Least absolute values methods. The second part deals with inverse problems involving functions. The book is almost completely self-contained, with all important concepts carefully introduced. Although theoretical concepts are strongly emphasized, the author has ensured that all the useful formulas are listed, with many special cases included.